The Simonton Prism Platinum window is the premium model in the Simonton Prism Series, and nearly identical to the Simonton Reflections 5500 window, although most Simonton distributors will carry one or the other, both not both. The window is a classic and clean vinyl window with clean sightlines for a streamlined appearance. The Simonton Prism Platinum series comes standard with a 7/8 inch insulating glass unit, an interlocking meeting rail, a stepped sill, integrated lift sash rail, and a tilt in sash for easy cleaning. The window uses a fusion-welded construction and comes with the ProSolar Low-e glass, argon gas fills, intercept spacer and fiberglass mesh screen. Consumers can choose from a number of different custom exterior frame colors such as bronze, brick, cream, chocolate, driftwood, pine, and tan. In addition, the Prism Platinum comes in a number of upgraded hardware options, including brushed nickel, dark or oil-rubbed bronze and polished brass. The Prism Platinum model is one of the best offerings from Simonton, although perhaps not quite as nice as the Simonton 9800 Series. Simonton Prism Platinum window prices should run somewhere around $50 to $60 per square foot for the window itself. The Prism Platinum is comparable to Sunrise windows prices and Great Lakes Uniframe window costs. 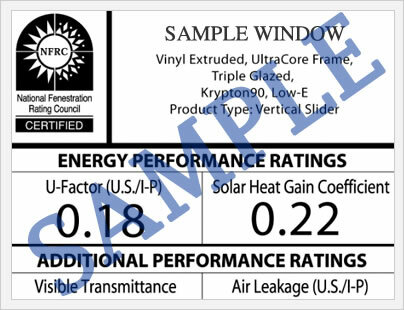 The Simonton Prism Platinum ratings with the Low-E 366 glass, argon fills and Intercept Spacer) will deliver a .31 U-factor, 3.23 R-value, .38 VT, .18 SHGC and .99 UV Block from the center of glass. All in all, pretty decent numbers that should hold up over time because the window is well made and constructed. The Simonton Prism Platinum includes their double lifetime warranty on all vinyl material, including the sash and frame. The limited lifetime warranty also covers screens, components and all hardware. There is a 25 year glass breakage provision as well on this transferrable warranty, although some restrictions do apply. We would urge all consumers to read the entire warranty prior to purchase in order to better understand all the limitations and exclusions. Do you have Simonton Prism Platinum windows reviews to include on our website? Consumer reviews help others decide if these are the best vinyl windows for their new replacement window project. Our site editors are more than happy to answer any questions you may have on the Platinum Prism vinyl window. Ask your questions here.